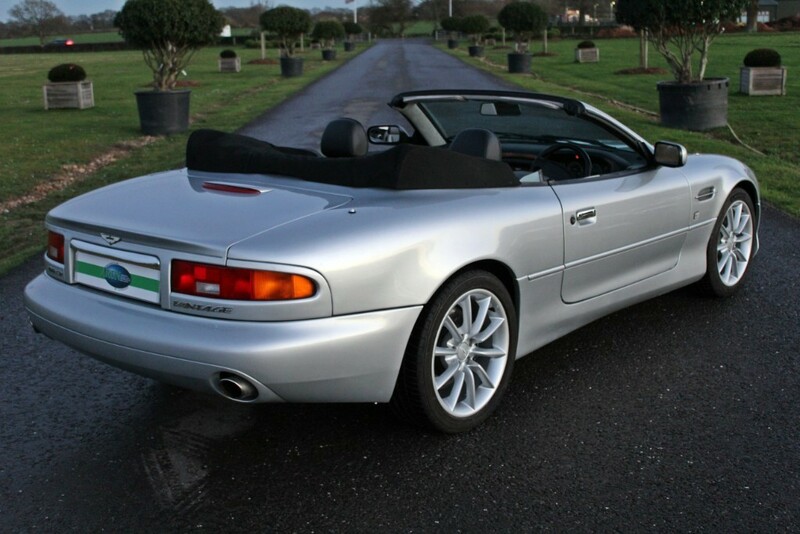 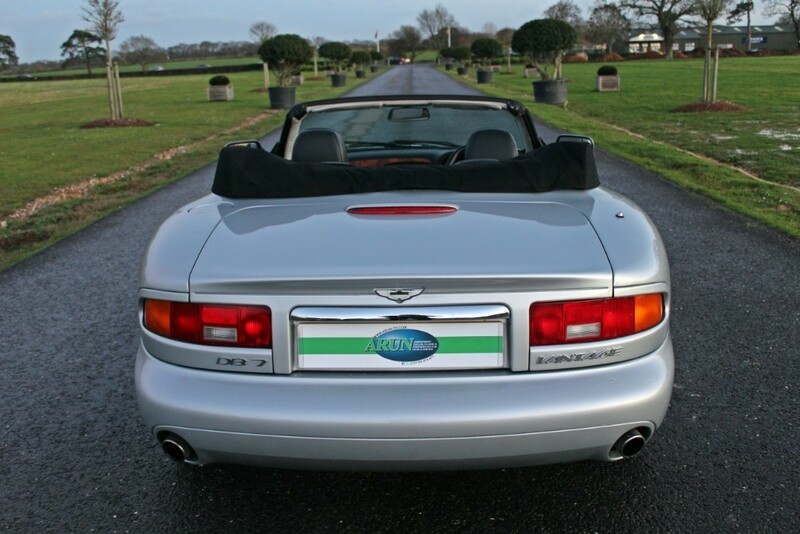 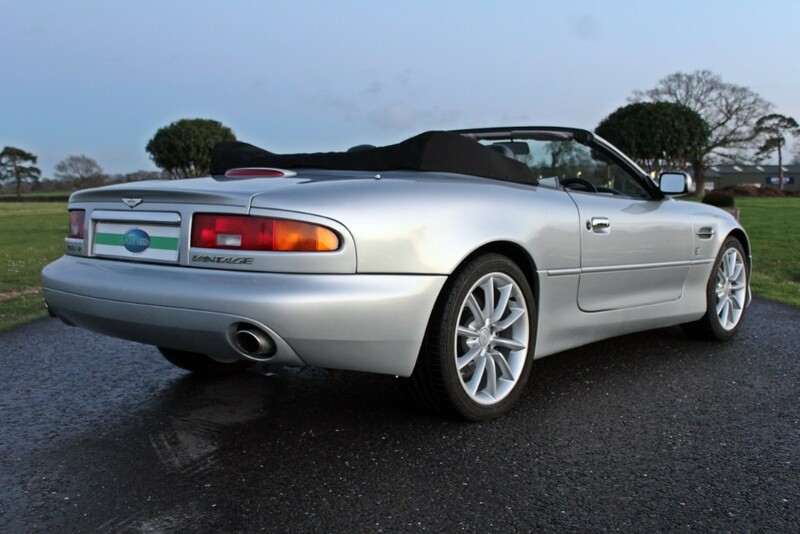 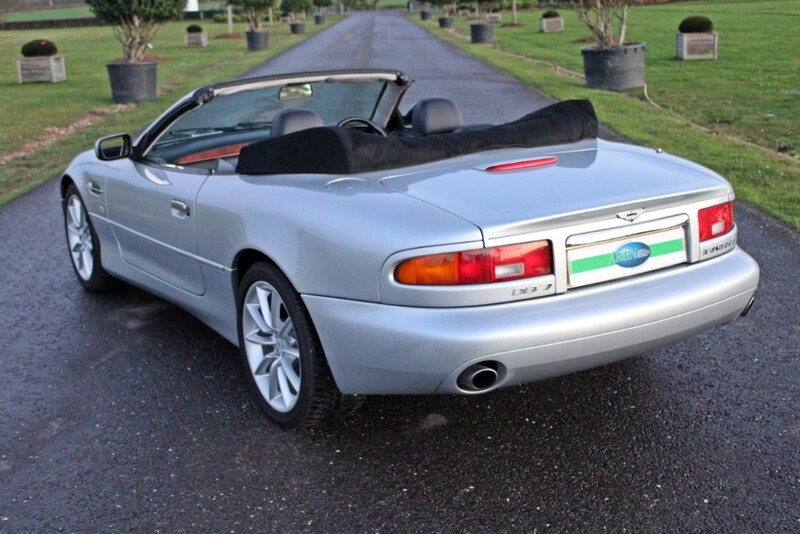 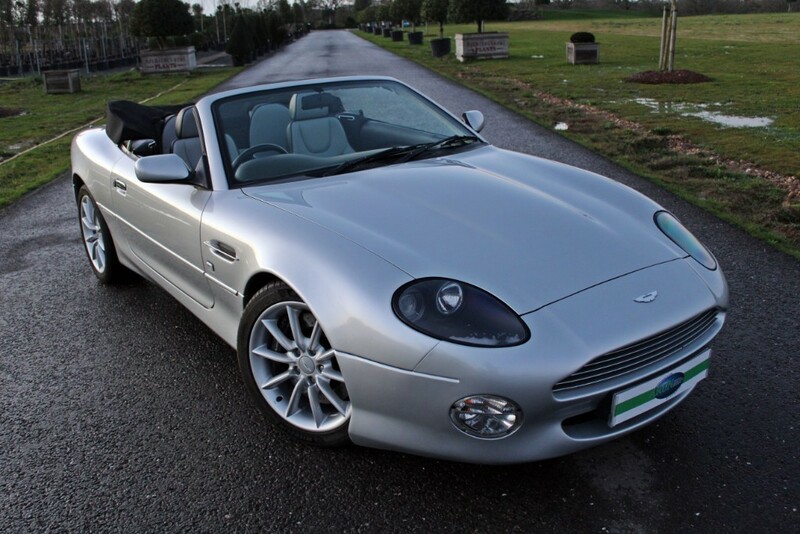 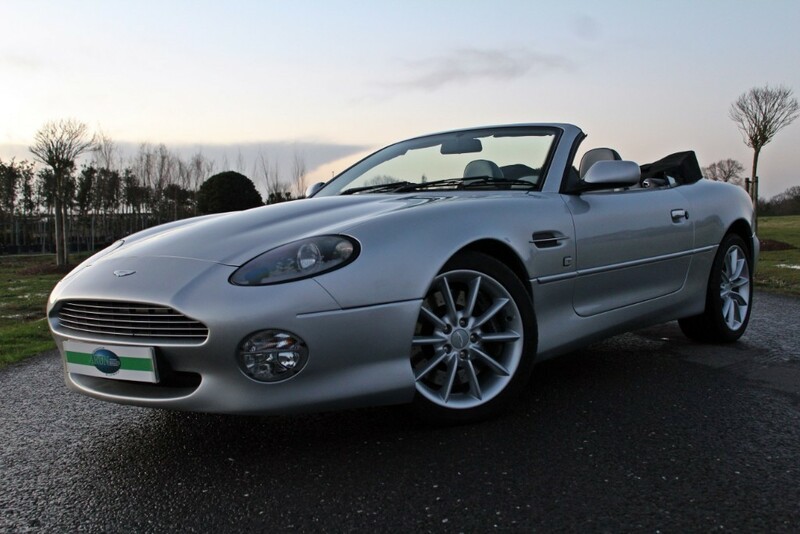 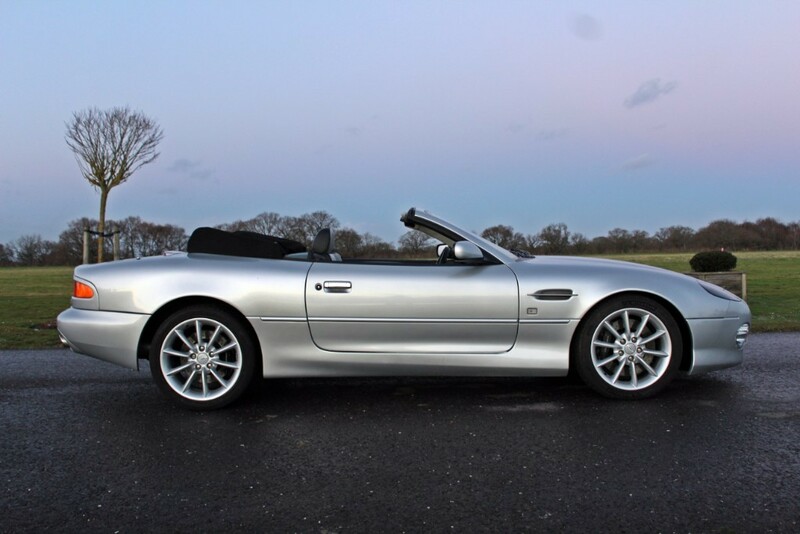 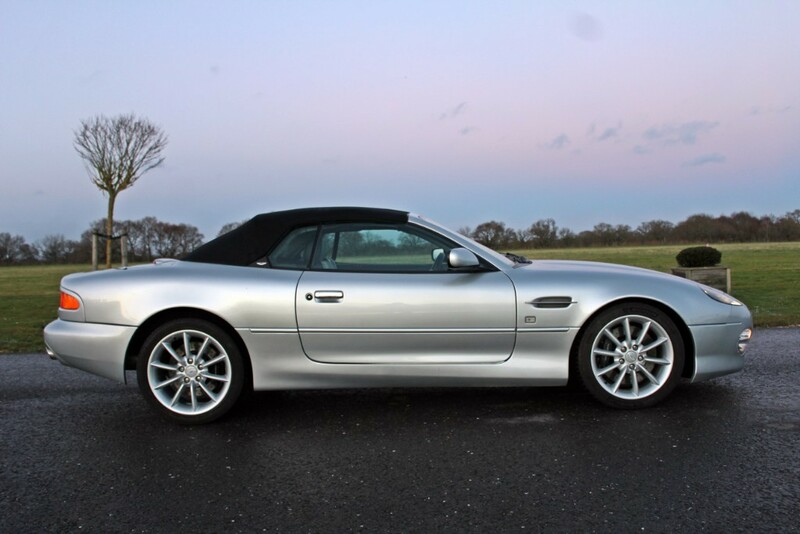 First registered July 2001 (Y Reg) this Aston Martin DB7 Vantage Volante has been in single local ownership since July 2006 when it was last sold with 33,000 miles recorded. 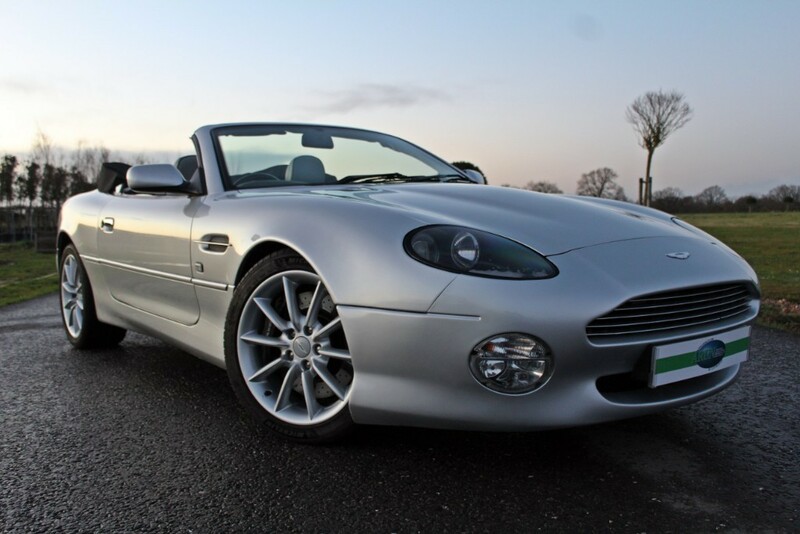 Finished in Dunhill Silver with Black Hood and Light Grey and Charcoal Interior. 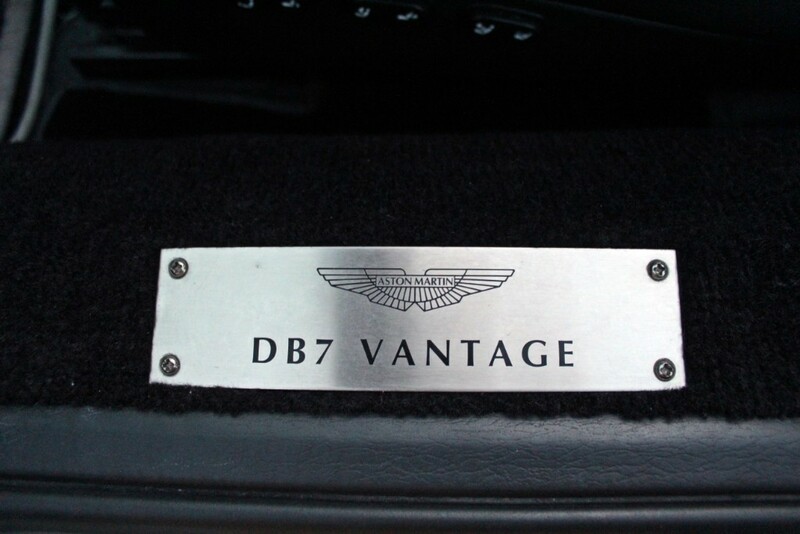 In March 1999 the DB7 Vantage and Vantage Volante made their debut at the annual Geneva Motorshow. 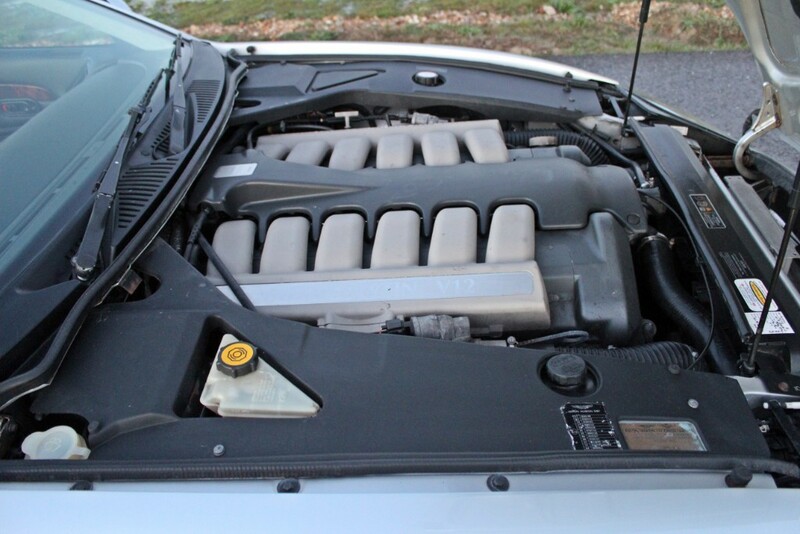 The new Vantage models featured an all new 6.0 litre V12 engine producing 420 bhp at 6,000 rpm. 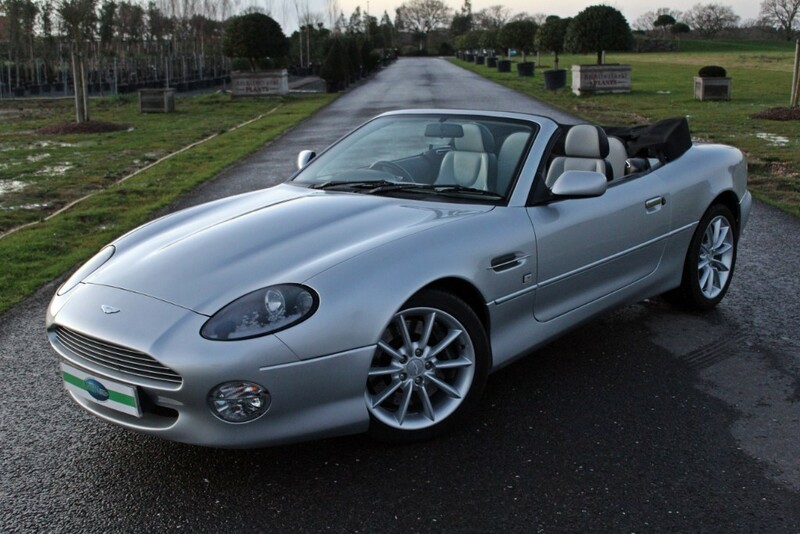 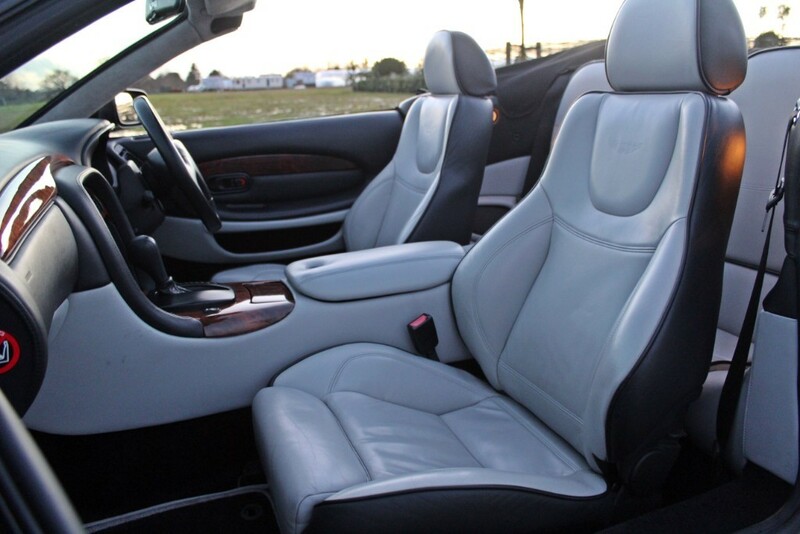 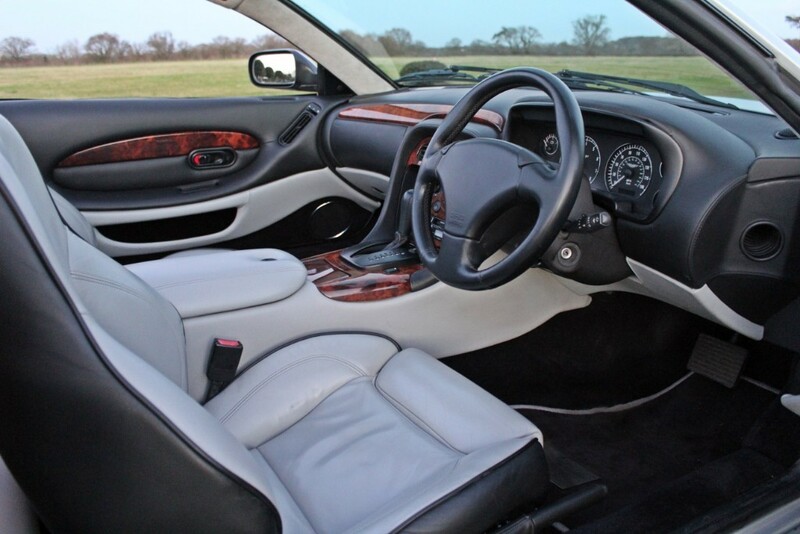 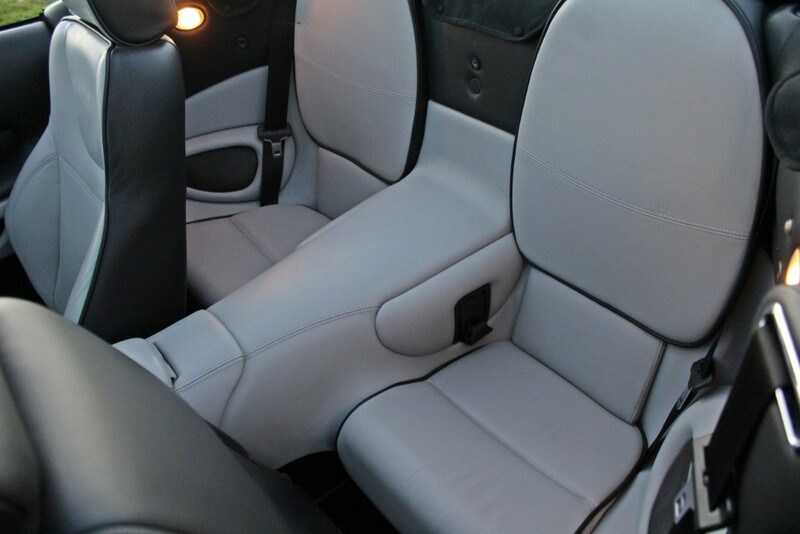 A top speed of 165 mph was claimed for the Volante with a 0 to 60 mph time of 5 seconds. 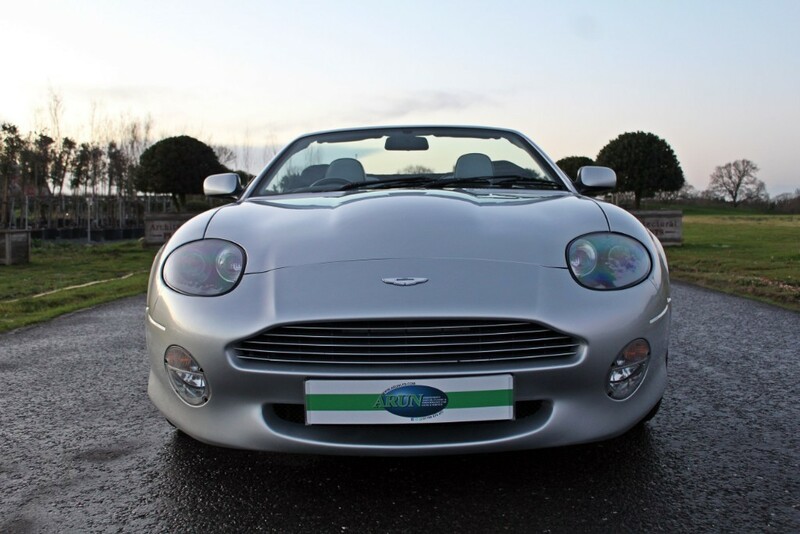 In addition to the new power-train the Vantage model had more aggressive styling, with a bigger front grille, new fog/side/indicator lights and imposing 18” wheels with Bridgestone S02 tyres. 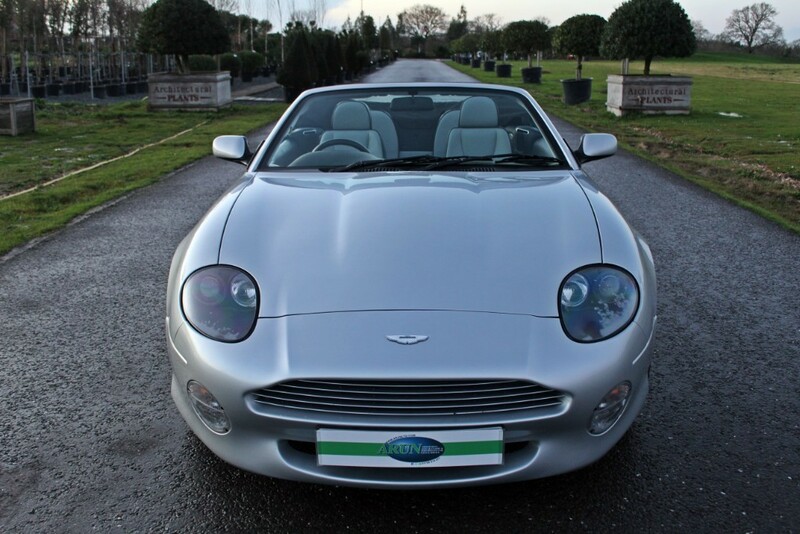 This DB7 was initially serviced by Stratstone of Wilmslow at: 1,000 miles; 9,200 miles; 15,500 miles; 19,600 miles; 20,650 miles and 28,470 miles in February 2005. 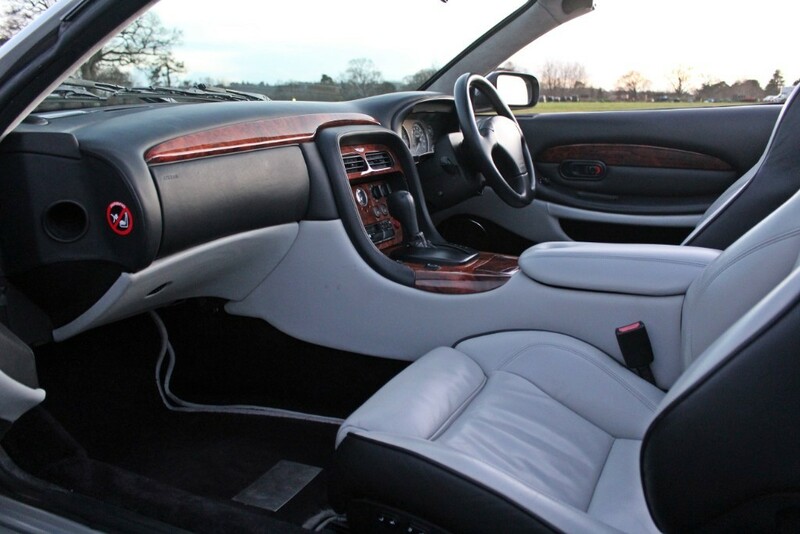 Straight Eight of Lyndhurst carried out a service at 31,400 miles prior to sale to most recent keeper; who has had it looked after by a single specialist and has been serviced by them at:41,000 miles; 42,500 miles; 43,500 miles; 50,600 miles; 56,500 miles; 58,700 miles and 65,480 miles last serviced 1st October 2018. 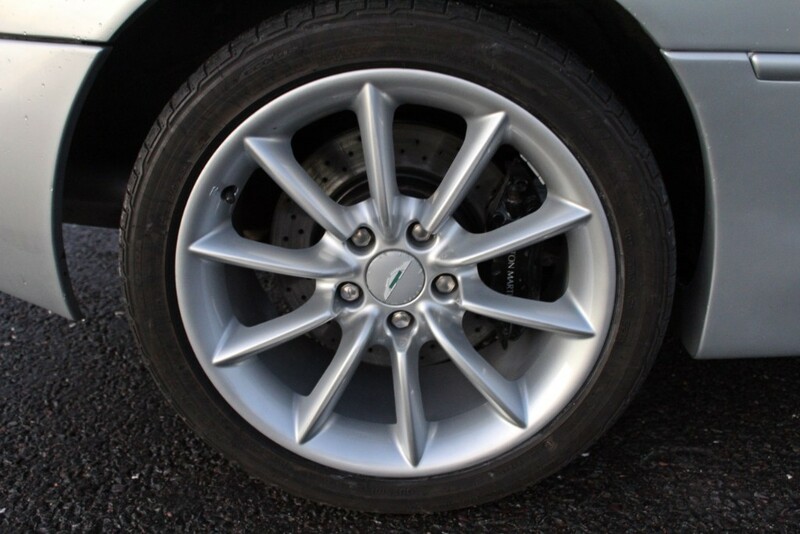 The majority of the work done in the past twelve or so year is supported by invoices which attest to very thorough maintenance including new coils at 56,000 miles in 2015 and in October 2018 new discs and pads all round. 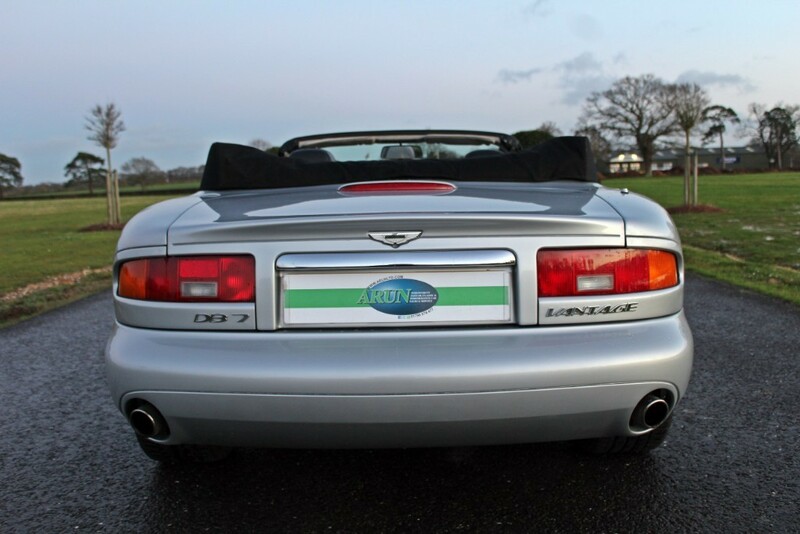 The Volante variant of the DB7 Vantage has always been sought after and its values are firm and, in our opinion, only likely to rise. 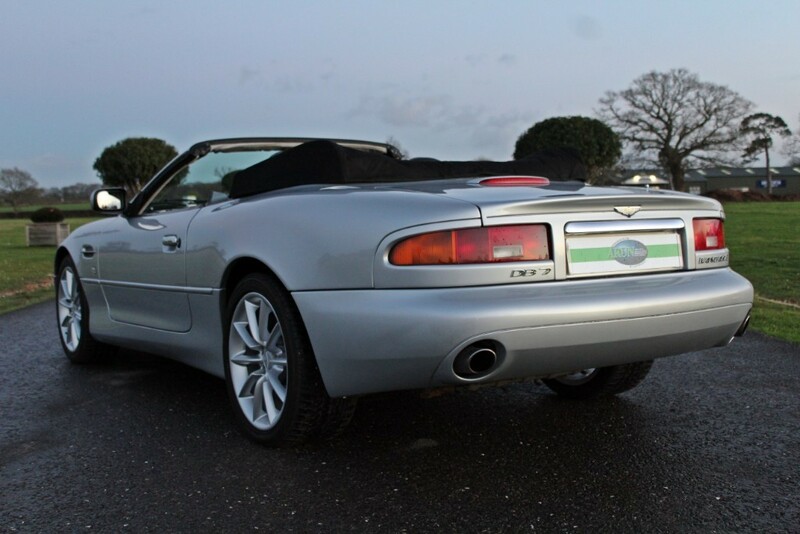 We believe this example to be the most competitively priced example available in the UK right now. 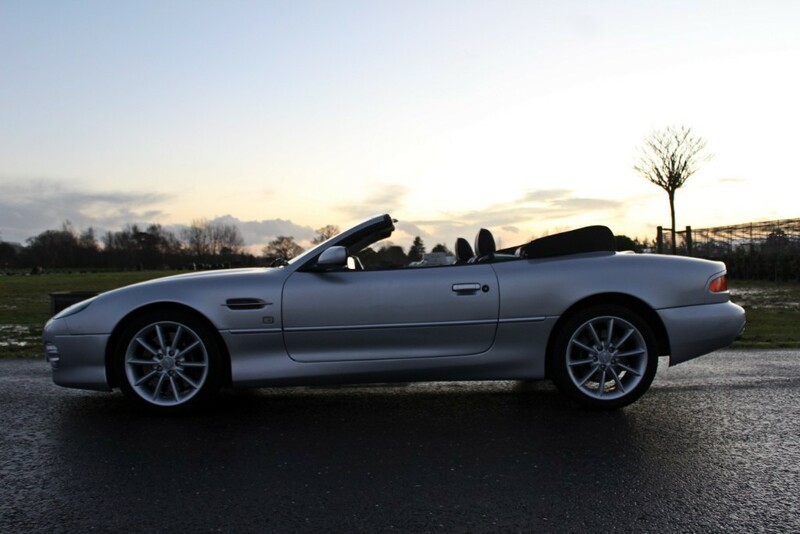 These cars are an absolute delight to drive.